Overview: Find yourself on the dangerous plains of wildest Africa, trembling with excitement, tingling from adrenaline and smiling from the anticipation of seeing Africa's amazing wildlife! Keep an eye out for the shrieking hyena, the wizened baboon, the raging lion, little miss flirty ostrich and so many more! 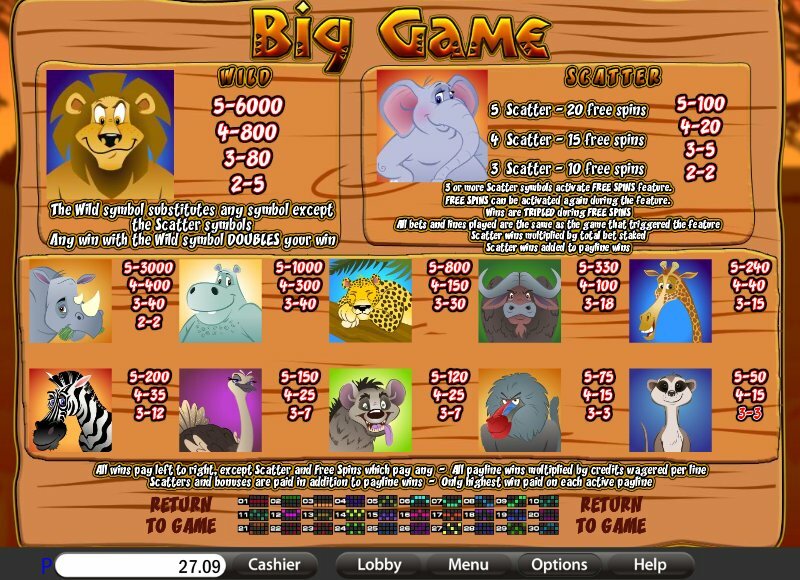 WIN UP TO 90,000 COINS AND GET UP TO 20 FREE SPINS WILD X2 MULTIPLIER, 15 COIN, 30 LINE. 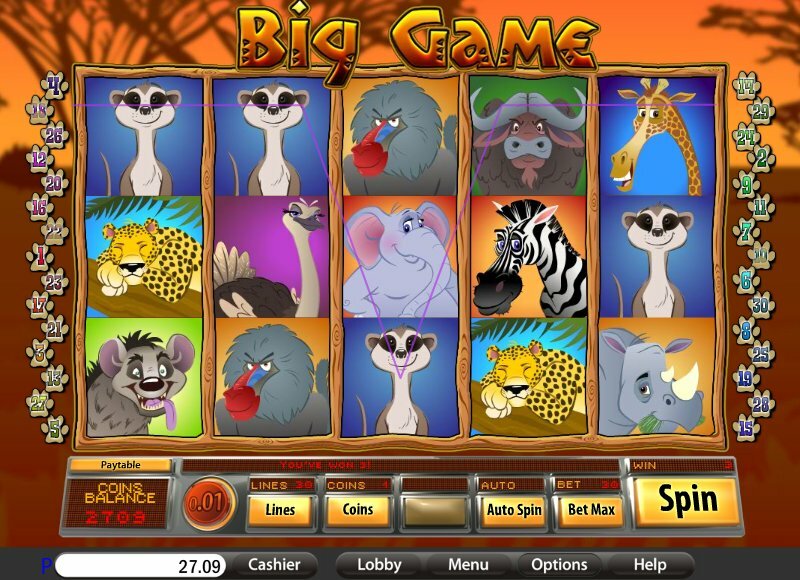 Similar Slots: If you like Big Game, you might like these other slot machines from Saucify: Captain Shockwave, Gems n Jewels, Legends of Avalon - Progressive, Reels of Rock, Tails of New York, Wild Berry.